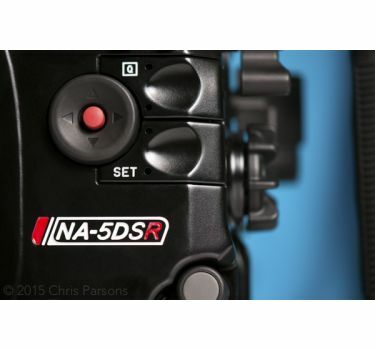 Many of the controls for the NA-5DSR are based on the NA-5DMKIII, taking advantage of how solid that housing is. 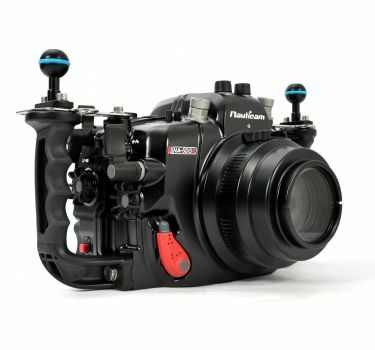 Clearly a camera of this magnitude deserves the very best housing to take it underwater. 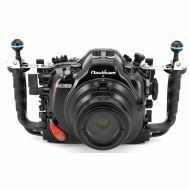 Existing NA-5DMKIII housing owners-stop reading here, because that housing will work flawlessly with the 5DS. 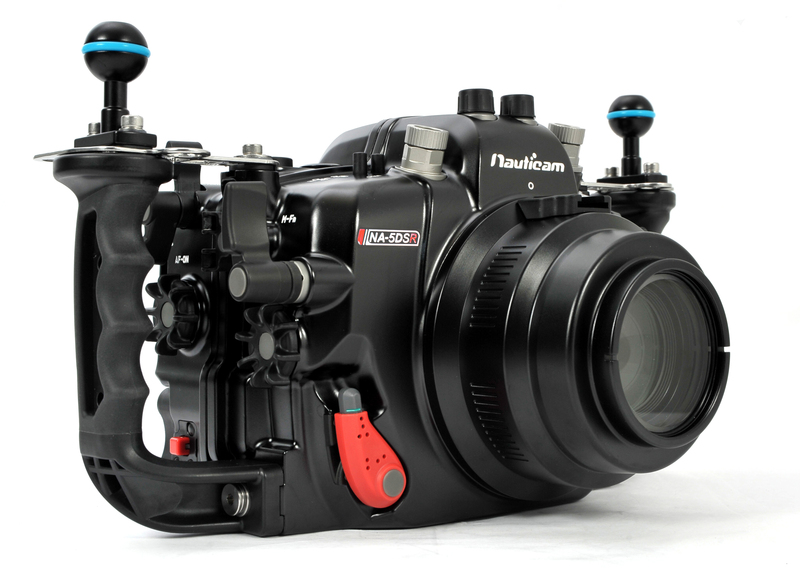 But Nauticam is unable to rest on laurels, and so simply had to produce the NA-5DSR , refining the NA-5DMKIII housing just that much more. 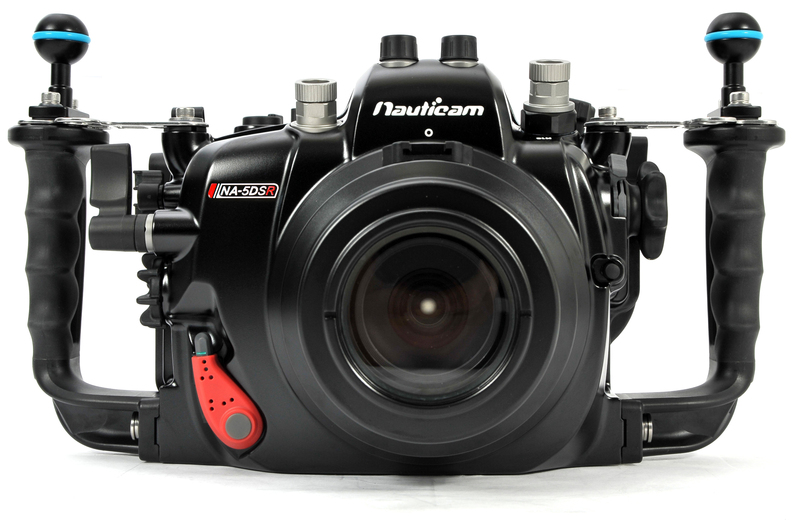 the Nauticam NA-5DMKIII has been incredibly popular and well liked among it's users. 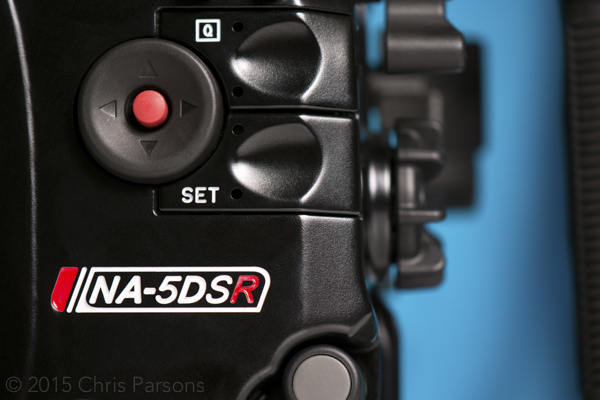 Many of the controls for the NA-5DSR are based on the NA-5DMKIII, taking advantage of how solid that housing is. 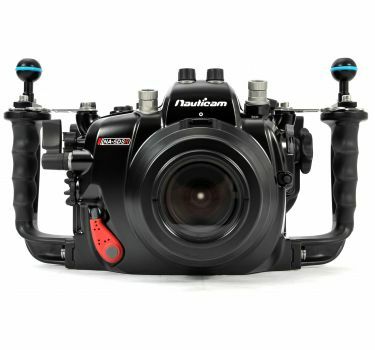 Still, the Nauticam designers were able to make improvements. 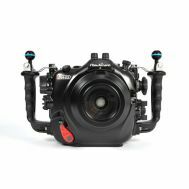 Small changes, to be sure, but each incredibly well thought out- designed by underwater photographers, for underwater photographers. 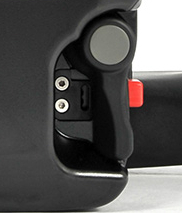 As an example of a minor but important change, the right side of the housing has been made less "crowded" by mocking the video/still switch to the top of the housing, and combining the ISO and DOF preview buttons in a tactile rocker that makes accessing both controls exceptionally easy. 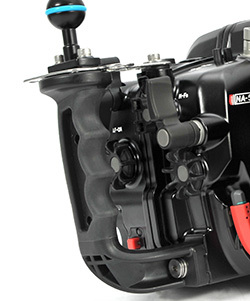 Perhaps the biggest change is the addition of the patent pending multi-controller. 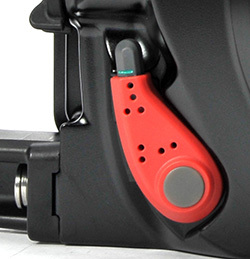 This moves the joystick control closer to the right hand, making it easier to get to. The piano keys for Set and Q were beautifully sculpted to make room for it, yielding a user interface that is both beautiful and functional. 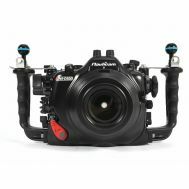 The new housing includes the Nauticam vacuum check electronics, and, like other new Nauticam DSLR housings, even includes a simple button to easily reset the vacuum electronics when only doing a lens change. It's one of those features that make one think that the designers have thought of everything. 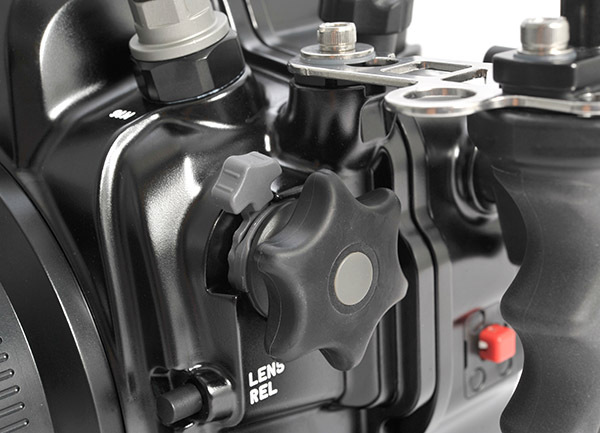 Taking a cue from Canon about stability and the reinforced tripod socket, the NA-5DSR features the new style cam locking tray system. This assures alignment and improves stability in the housing. 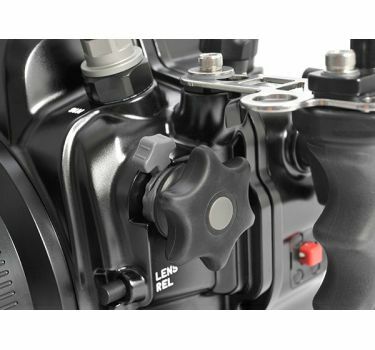 The housing also features a standard 1/4" 20 tripod socket plus two extra socket for reinforcement should the shooter want to use a tripod for stability underwater. Simple buttons like Menu, Picture Style, Rate, Magnify, and Trash have been given an angled treatment, making it easier to reach these buttons with the left hand. 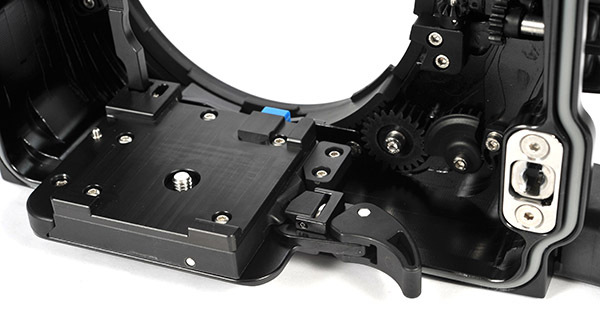 the shutter is the new paddle style- exceptionally easy to use even when wearing thick gloves, yet retain amazing tactile feel for use of the half-press of the 5DS shutter. 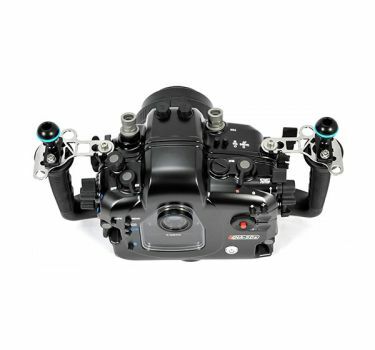 The NA-5DSR includes strobe mounting balls and lightweight laser cut stability brackets. 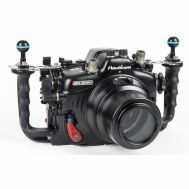 Finally, the NA-5DSR is quit a bit lighter than the original NA-5DMKIII... so much that the amount of added buoyancy needed for most applications is reduced or eliminated. 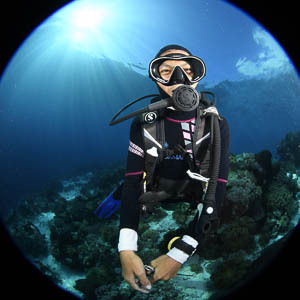 The result is a housing that is a dream to handle underwater. 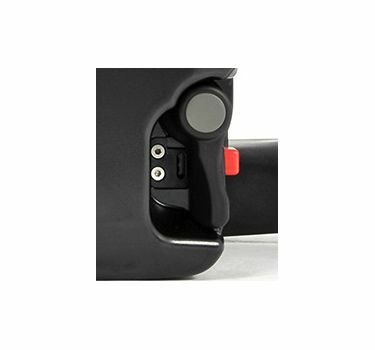 Patented Multi Controller Pad, located within easy reach of the right thumb, virtually recreates the Canon 5DS multi selector allowing full multi-directional use of the powerful tool, including diagonals. No other manufacturer has it. 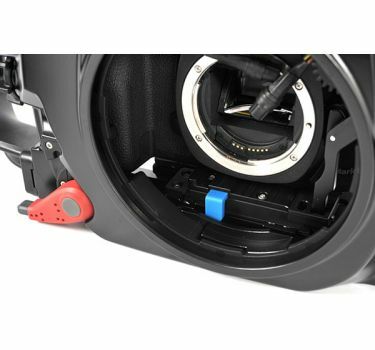 Nauticam's Rubberized Handles are another iconic feature of this housing. 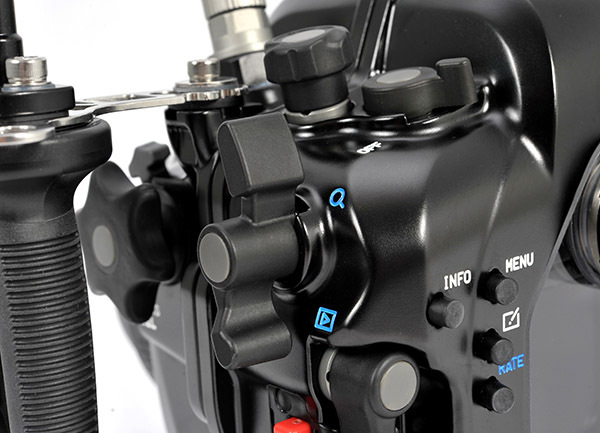 A comfortable, secure grip that reduces hand fatigue and helps stabilize the shot. 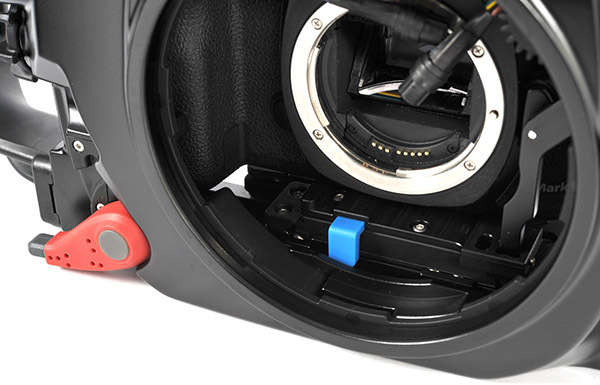 Nauticam Integrated Locking Housing Latches mean secure yet easy access to changing batteries or memory cards. 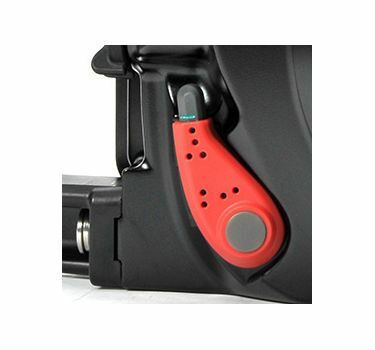 Why break your knuckles trying to opens a housing? 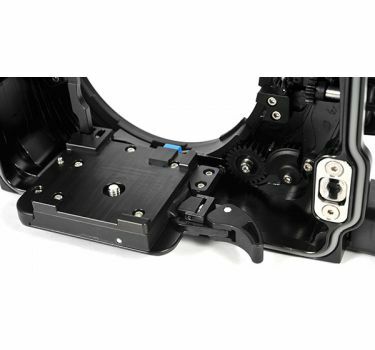 Other optional features include the vacuum leak detection system to protect your camera and an external magnifying viewfinder, available in 45 or 180° models.